Master Mariner, experienced Chief Officer and trainer of seafarers, Ian Hlongwane has been appointed as manager of the National Cadet Programme (NCP) run by the South African International Maritime Institute. Hlongwane, 38, has returned from Ghana, where he managed the Ghana Marine Training Centre for Swire Pacific Offshore, to take up the NCP Manager position from 1 February. He said he was excited to be able to share the learning and experience gained in a 20-year maritime career with trainee seafarers in his home country. “I was also a cadet from South Africa and was given opportunities by the shipping industry to learn and grow through a career at sea. I have trained cadets and able seafarers in other countries, so I am excited now to do this for my people and my country, to uplift my community,” he said. Hlongwane said his key focus would be to widen the network of partner shipping companies that provide training berths for the cadets in the NCP, demonstrating to ship owners the value offered by South African cadets and qualified seafarers. “My role will be to bring value to the seafaring community and shipping industry, by sharing what I have learned and telling the world about the value of South African seafarers. We have a number of advantages as global crew – we speak English, we know how to live in a multicultural environment, and we are well qualified and trained in safety at sea,” he said. SAIMI operations director Soraya Artman welcomed Hlongwane’s appointment, saying his experience and qualifications would stand him in good stead to strengthen and expand the NCP. “The NCP is a key programme for SAIMI and our role in developing the skills needed to grow the oceans economy and position South Africa as a leading maritime nation. We will be further strengthening the programme with the appointment soon of an administrator to enhance efficiency and effective relationships with training service providers and partner companies,” she said. 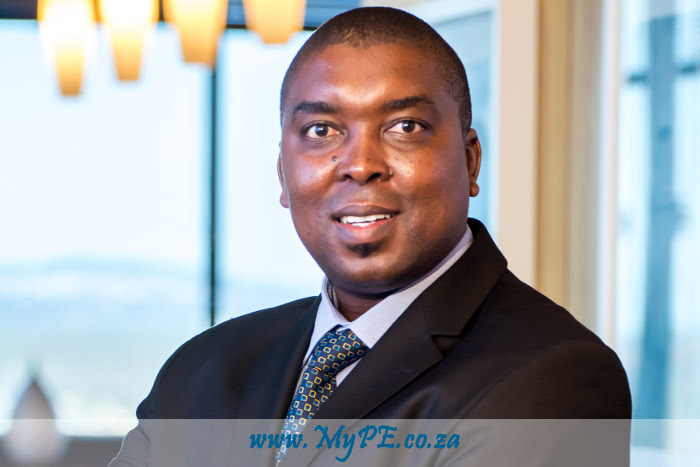 Hlongwane is a graduate of the Cape Peninsula University of Technology (National Higher Diploma in Maritime Studies), and holds an MBA in Shipping and Logistics from Middlesex University (London) in association with Lloyds Maritime Academy. He holds a Class 1 COC (unlimited Master Mariner) and is a member of the Chartered Institute of Shipbrokers. Hlongwane started his career with Unicorn Tankers and gained 10 years’ experience as a Chief Officer before taking up the position in Ghana where he set up and managed a training centre to enhance local crews’ skills in offshore operations. The National Cadet Programme is a strategic initiative by SAIMI to grow the ranks of South African seafaring crew equipped for job opportunities in the global shipping industry and contribute to growth of the country’s maritime economy. The NCP provides cadets with the practical training and sea-time experience required to attain the international STCW (Standards of Training, Certification and Watchkeeping for Seafarers) qualification following their maritime diploma studies at local universities of technology.